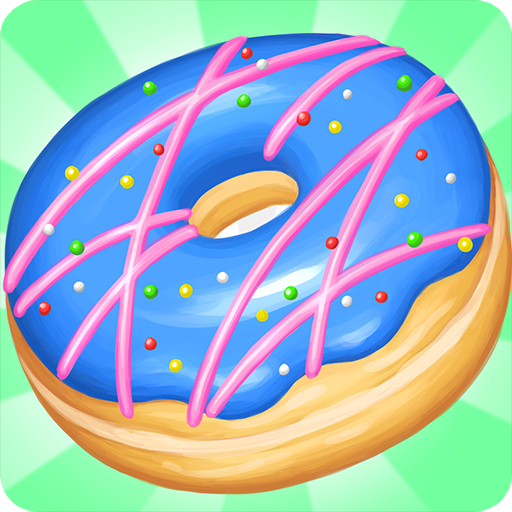 My Donut Shop is the newest cooking game app from TapBlaze! Grab your apron and get ready to start rolling out your dough. With the new donut maker cooking game, you get to choose the type of donut you want to make, mix the dough, roll out the dough, fry, decorate and serve to a customer! I really love this gane and i like the part when u have to feed as many donuts as possible in 30 seconds and u guys should download it trust me it is fun, awesome,and amazing. ★★★★★ - Ladena R.
I love this game because it is so fun and I wish that you never ran out of the toppings and I personally like mixing the coffee. ★★★★★ - Jaylynn B. Like it. 😊😊😊😊😊 It is a very beautiful game. My sister love it. I didm't know how to cook but this game taught me how. ★★★★★ - Malak A.